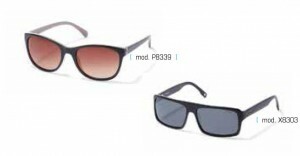 As one of the top four global sunglass brands, which sold over four million pairs of polarized sunglasses last year, Polaroid has arrived in Canada. Men and women can choose between Core and Premium collections: all featuring the unique Polaroid UltraSightTM polarized lenses, which offer perfect vision without glare or distortion, as well as 100 per cent UV400 protection. Polaroid lenses are made of functional elements, including a polarized filter in the centre, four filters for UV protection, two extra shock-absorbing coatings that provide extra durability and two scratch-resistant layers for protection. The Core collection showcases a variety of sunglass styles that highlight modern, elegant and classic lines. These models for men and women combine functionality and design for everyday use. Polaroid UltraSight polarized lenses are developed in the Polaroid factory in Scotland. The innovative production is based on the patented process called ThermofusionTM, which delivers high-quality polarized lenses offering better visual acuity. Sunglasses in Polaroid’s Premium collection for men and women exude class. The UltraSight lenses in this line are finished with two extra shock-absorbing coatings, giving them extra durability and a single anti-reflective coating for perfect optical clarity.